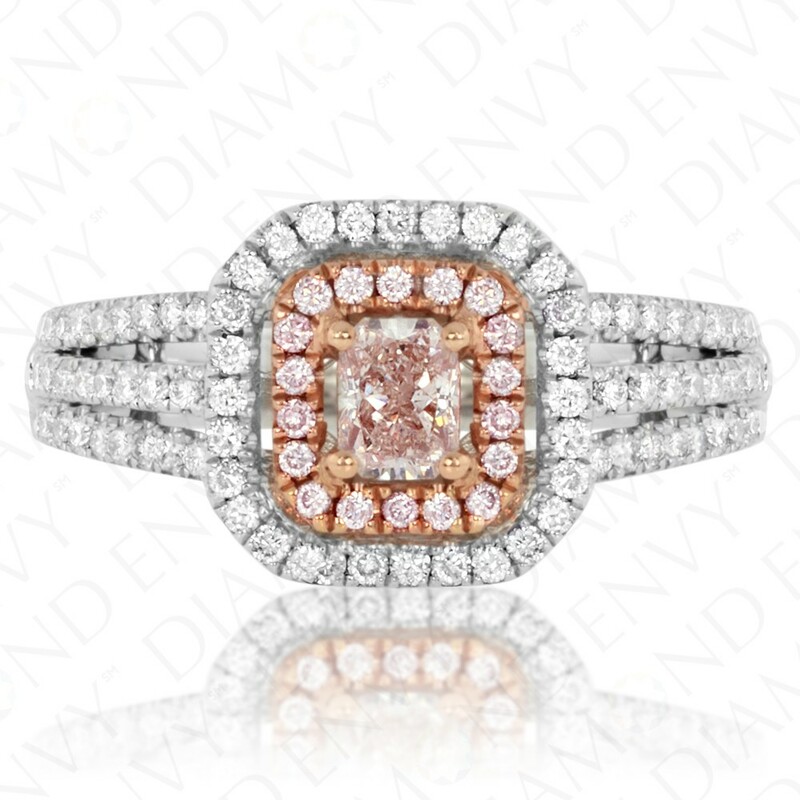 Style and sophistication meet in this 18K two-tone gold ring bearing a 0.30 carat SI1 radiant cut Light Pinkish Brown diamond. 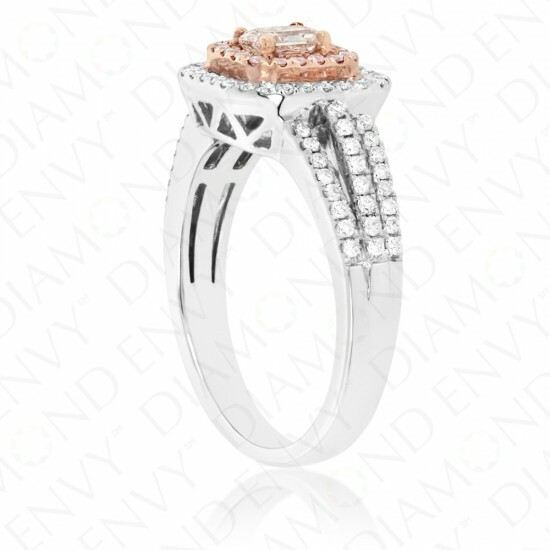 The center diamond is framed by an elegant double halo of round diamonds. 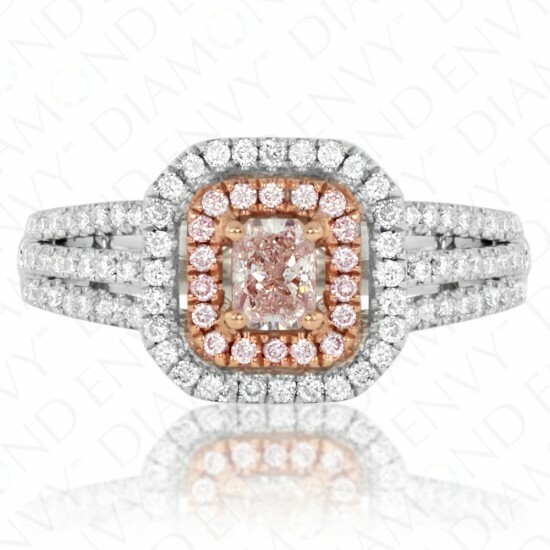 The inner halo comprises 18 complementary SI1-SI3 Light to Fancy Light Pink diamonds, 0.10 ct tw. 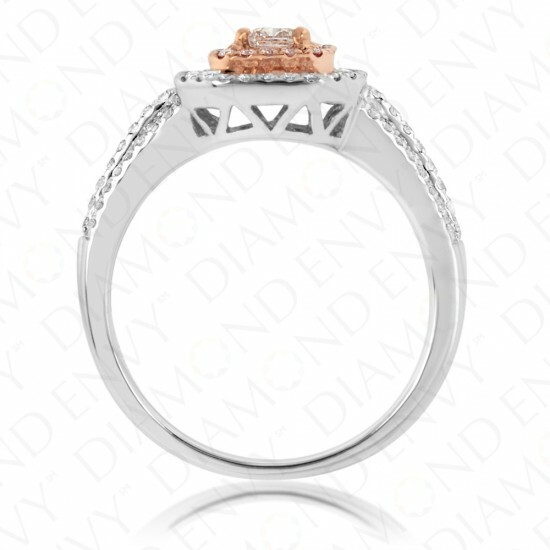 The outer halo comprises G-H SI1-SI3 diamonds that also accent either side of a decorative triple-strand shank. 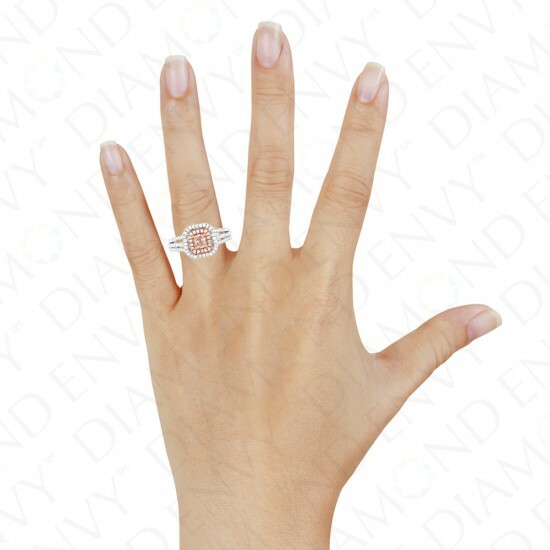 White accent diamonds total 76 pieces, 0.44 ct. tw. Gold weight: 5.90 grams. 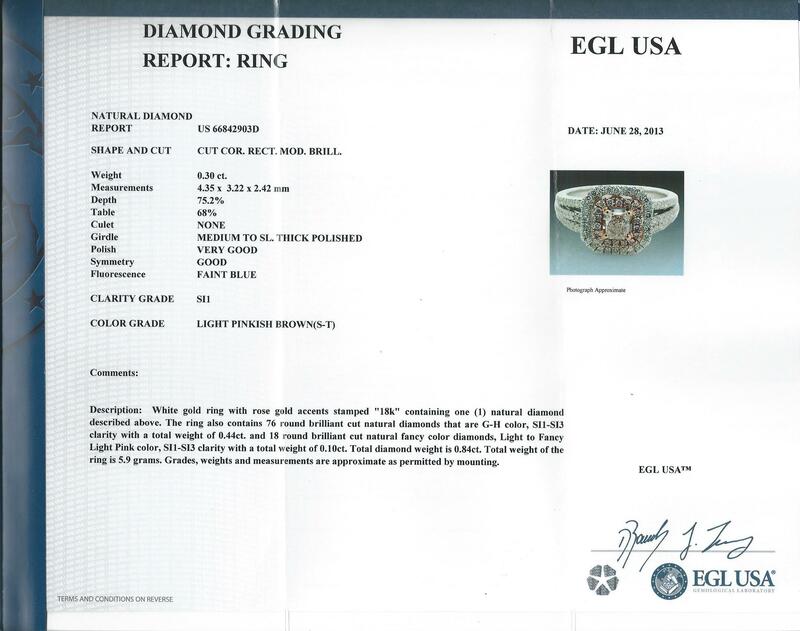 EGL-certified.